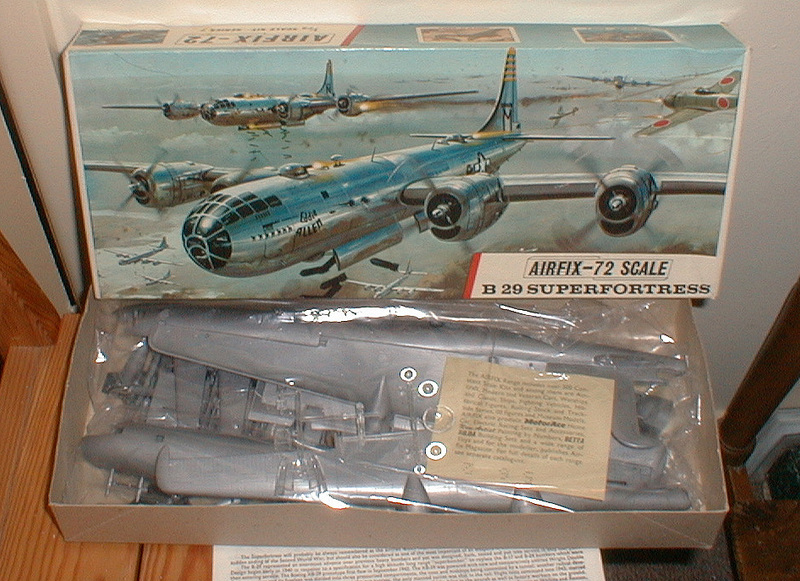 The biggest yet, this fabulous kit of the Boeing Superfortress, the "Bomber that won the war" is 23 1/2 inches in wing span and contains over 200 authentically detailed parts. The remotely controlled guns of the full size aircraft are faithfully reproduced in the model as are the operating bomb doors revealing a full load of bombs. Airfix research in co-operation with the Boeing Company and the American Aviation Historical Society has brought about the most impressive and accurate model to date. The optional transfers included give a choice of two of the most famous Superfortresses, "Joltn Josie" or "Eddie Allen".